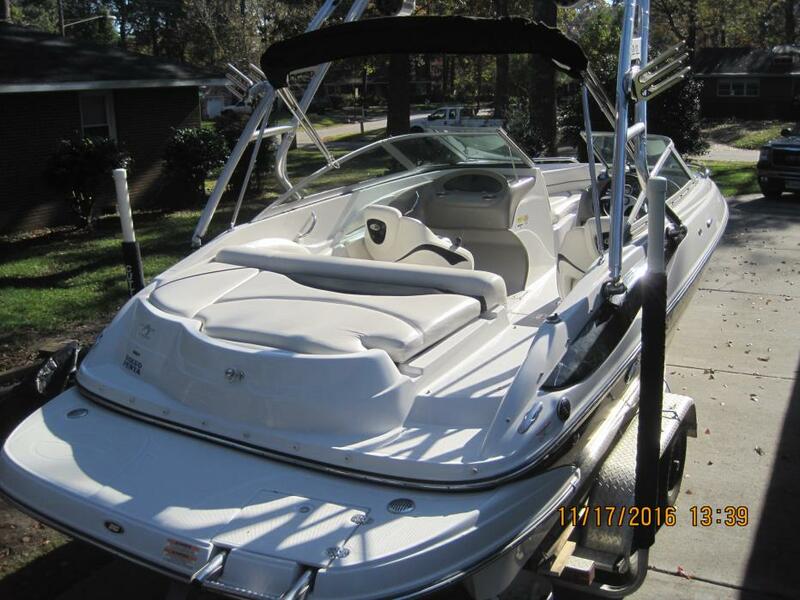 2006 crownline 210LS, 2006 Crownline 210 LS 21' Open Bow - This is a very clean sleek boat! Powered by a Mercruiser 5.0 motor, 220Hp. Features new stereo, bimini top, keel guard, bow cover, cockpit cover / boat cover. Rides on a nice Metal Craft tandem axle trailer with boarding ladder and spare tire. 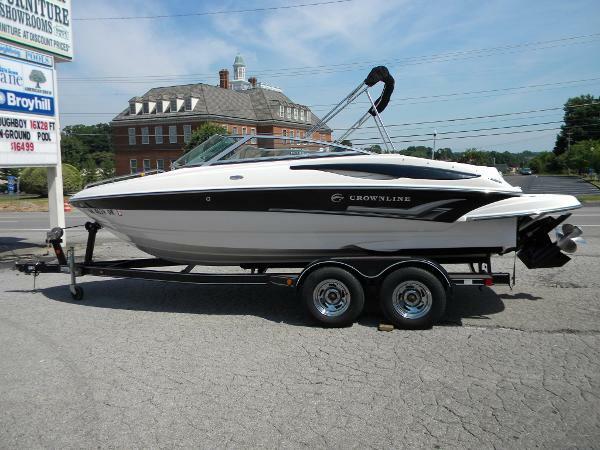 2007 Crownline 210 LS 2007 Crownline 210 LS with sport package, 21'-6 " length, 102" beam. 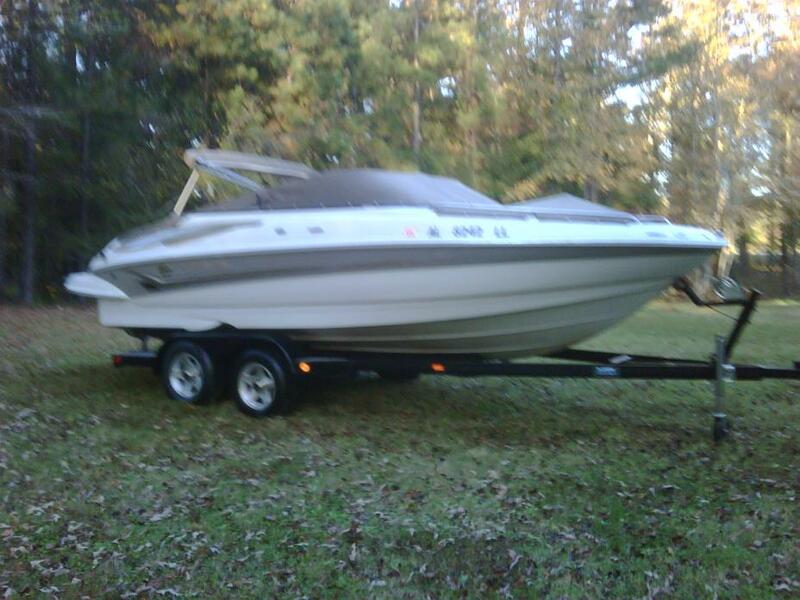 290 HP Volvo Penta 5.0 GXI G (fuel injected) with SX outdrive One owner, fresh water only, Lake Gaston Boat is winterized at my home in Virginia Beach 344 hrs Prop is 4 blade AL, 3 blade AL spare Dual batteries with switch Fold up 4 step swim ladders on swim platform and bow Lenco trim tabs Big Air Cuda Tower, polished aluminum with speakers and navigation light Rear view mirror 6 pull up SS cleats Bimini top, Sunbrella Super Sports Interior Tri-Tech flip-up bucket seats Deluxe sun pad with headrest Four-speaker Sony marine stereo system with aux plug and CD player Tilt steering, full instrumentation Stainless steel hardware and cup holders Grey snap in carpet (removed for winter storage) Bow and Cockpit Sunbrella covers Rear cockpit, right side has fill in cushions (not shown in pics) Magic Tilt tandem axle Aluminum trailer w/surge operated disc brakes and torsion springs Manuals and other info, some spare parts, etc Asking $23,500 Can furnish original invoice. 2006 Crownline 210 LS This 2006 Crownline 210 LS seats 9 and has a MerCruiser 5.0L 260HP engine with a 5 blade stainless steel prop. Top speed is approximately 52mph. Two axle tandem trailer with custom wheels. Well maintinined inside and out. Stored under cover during fall/winter and on boat lift during the spring/summer. Comes with a bimini top and cockpit and bow covers. Interior is immaculate with the exception of a couple of small cracks in the back seat on the side. Upgraded marine radio (blue tooth/XM) and additional speakers added for better sound. Woodgrain package on interior, stainless steel rubrail, courtesy lights, and forward ladder. Priced to sell below NADA guidlines. 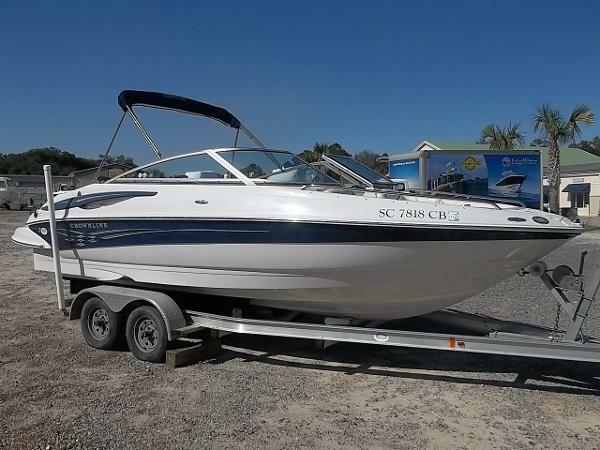 2008 Crownline 210 LS USED 2008 CROWNLINE 210LS ( SHOWS AS NEW , ONE OWNER ALWAYS KEEP ON HOIST OR IN WINTER STORAGE WITH ONLY 186 HOURS ON MOTOR ) WHITE "FAST TAB" HULL WITH BLACK ACCENTS , MERCRUISER 5.0 MPI V-8 WITH BRAVO 3 OUTDRIVE WITH " ONLY 186 HOURS " WITH SS PROPS, DRIVE ON TENNESSEE CUSTOM TANDEM TRAILER WITH SURGE BRAKES / CHROME WHEELS AND TIE DOWN STRAPS, SIX SS PULL UP CLEATS, SS BOW GRAB RAILS, BOW BOARDING LADDER WITH ANCHOR LOCKER, SS RUB RAIL, EXTENDED SWIM PLATFORM WITH BOARDING LADDER, SUPER SPORT INTERIOUR WITH 2 CAPTAINS CHAIRS AND FLIP UP BOLSTERS, REAR BENCH SEAT WITH STORAGE , WALK - THRU TRANSOM HATCH WITH DROP IN SEAT, FULL DASH INSTRUMENTATION, DEPH FINDER, SONY AM/FM /CD WITH SIX SPEAKERS, CLOVE BOX WITH DRINK COOLER, BOW DRINK COOLER, BOW UNDER SEAT STORAGE , IN FLOOR SKI LOCKER, 8 SS DRINK HOLDERS, SNAP IN CARPET, COURTESY LIGHTS, FIRE EXTINGUISHER, BOW AND COCKPIT COVERS. PLEASE COME SEE TENN. LARGEST PONTOON DISPLAY ALL WITH HUGH DISCOUNTS OFF MSRP. LOW INTEREST BANK FINANCING AVAILABLE W.A.C. 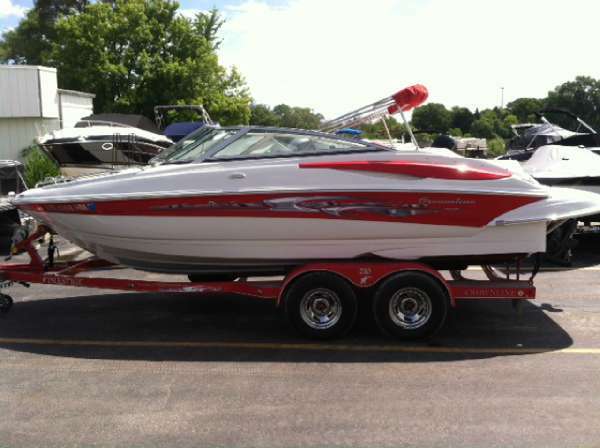 2007 Crownline 210 LS 2007 Crownline 210 Bow Rider with Trailer. Low hours (112) super clean. 2013 Tidewater Aluinum Tandem axle Bunk Trailer. 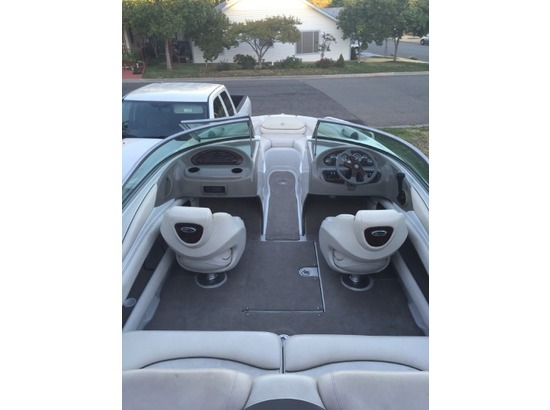 UP GRADED STEREO,COCKPIT CARPET, TRIM TABS,Turn Key Ready To Ski!! 2008 Crownline 210 LS Mercruiser 5.0L Alpha 220 HPsnap on bow and cockpit coverpull up cleatsMB quart ampClarion head unitBimini toptandem axle trailerSuper Sports InteriorSport PkgForward Ladder Crownline's F.A.S.T. 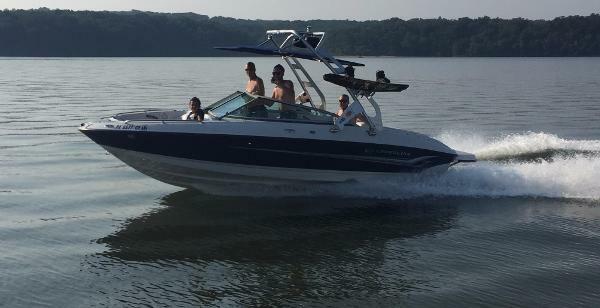 Tab Hull, wrap-around swim platform and a boatload of standard features make a day on the water nothing but "fun" with our 210 LS. The Super Sport interior comes with Tri-Tech flip-up buckets and a deluxe sun pad with headrests. Sound comes through crisp and clear on the four-speaker Sony marine stereo system with CD. Comes with tilt steering, full instrumentation, stainless steel hardware and cupholders. 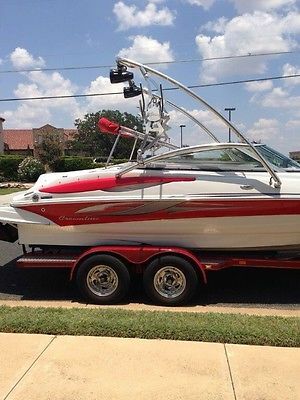 2008 Crownline 210 LS Mercruiser 5.0L Prestige Trailer Over-the-top perfection, those are appropriate words to describe Crownline's 210 LS Bowrider. 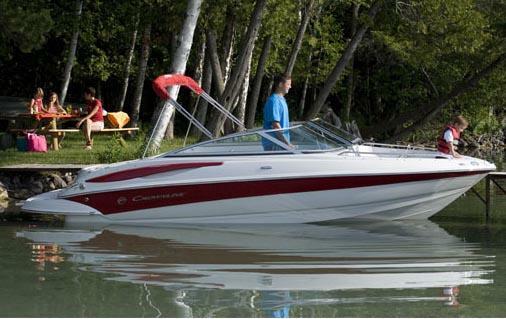 Comfort, safety, performance and good looks must have been what the Crownline design team had in mind when creating this bowrider and they obviously hit their mark! You'll never want to leave the water! - Just In! Only 218 Hours and Very Clean! 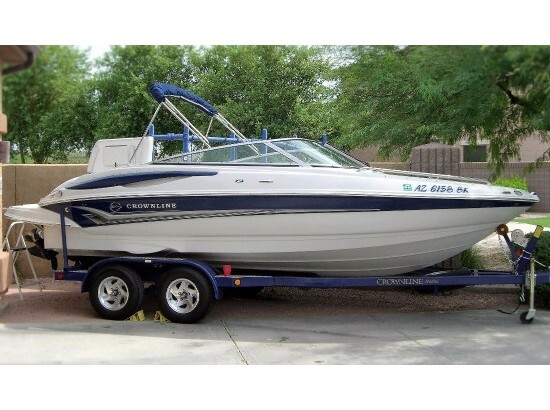 2009 Crownline 210 LS 437H The Crownline 210 LS is a great bow rider for all water sport activities. 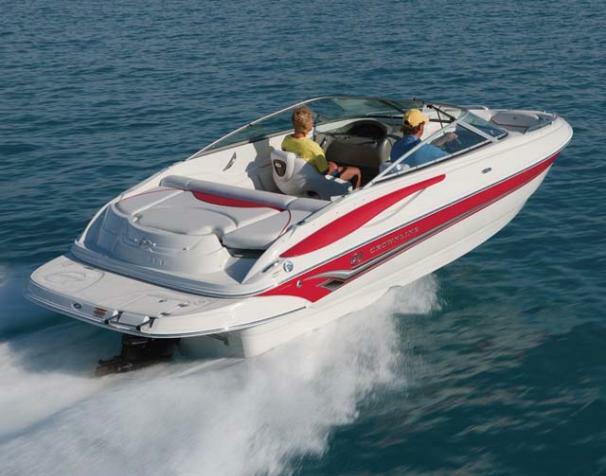 This 210 LS is powered by a Mercruiser 5.0L Alpha 1 with only 103 hours. 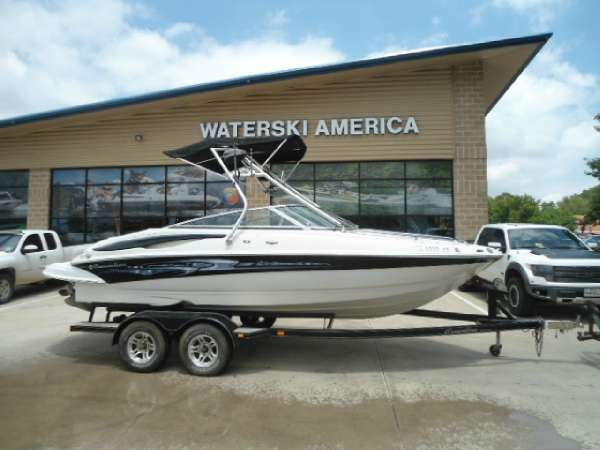 The advertised price includes Bimini top, bow and cockpit covers, in dash depth sounder, Garmin GPS, all safety gear and tandem axle aluminum trailer. 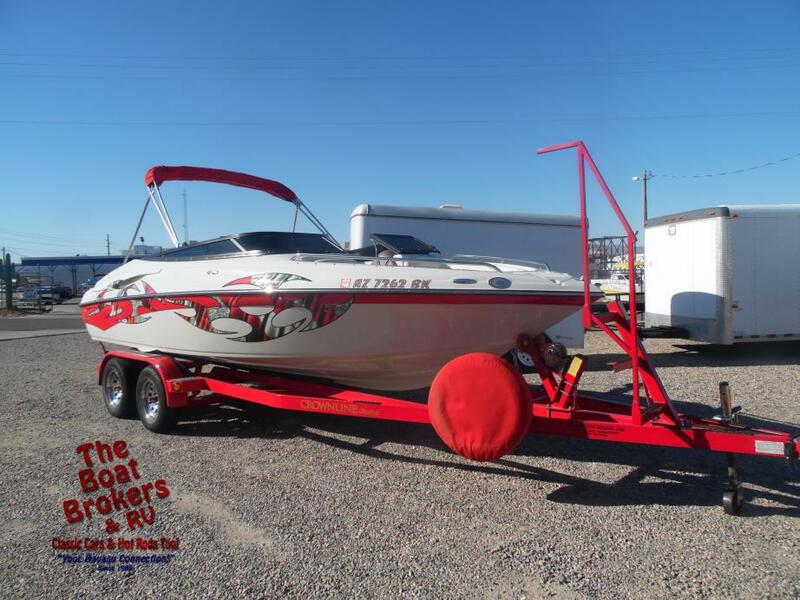 Please call us today to see this great bow rider.